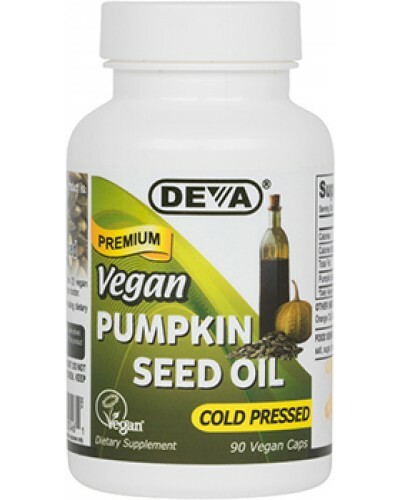 DEVA™ Pumpkin Seed Oil is one of the finest pumpkin seed supplements on the market. The pumpkin seed oil used in our product is organic, cold pressed, unrefined and, comes in non-animal capsules with completely vegan ingredients. The color of pumpkin seed oil may be different from batch to batch naturally and, may also appear differently depending on the thickness of the observed sample, due to an optical phenomenon called dichromatism. Colors may vary from yellow, light orange to dark red or green. 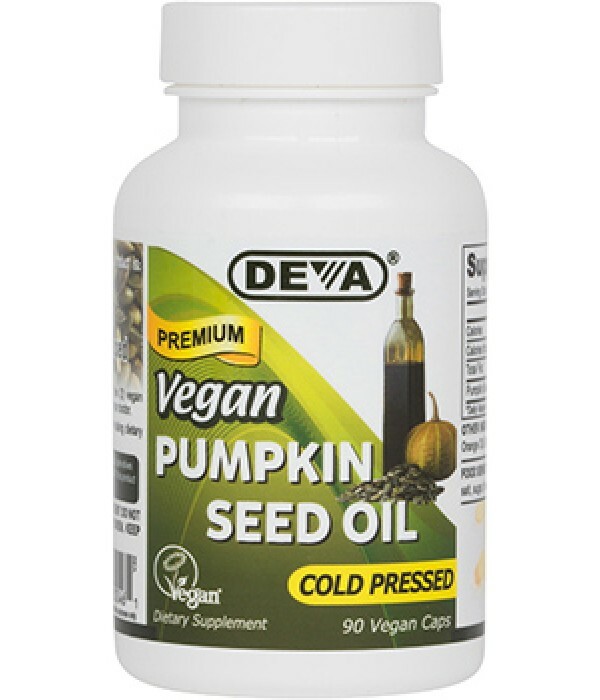 DEVA Vegan Pumpkin Seed Oil is 100% animal free, and guaranteed for purity, freshness and labeled potency. Remember all DEVA Products are 100% vegan, vegetarian and are registered by the Vegan Society, the non-profit organization that actually invented the word "vegan". For adults take one (1) or two (2) vegan capsules daily with food or as directed by a health care professional. Free of yeast, wheat, gluten, soy, starch, sugar, salt, hexane, dairy, egg, fish; animal products, byproducts or derivatives.